Many PTAs have their fiscal year ending on June 30th (check your bylaws), which means it’s time to handle all of those end-of-the-year tasks so your PTA is ready to start off on the right foot when school starts. Close your books. Make sure you get those last deposits in and write those last checks before the end of your fiscal year. Send in your last dues payment and any unused PTA membership cards. Prepare for your audit. 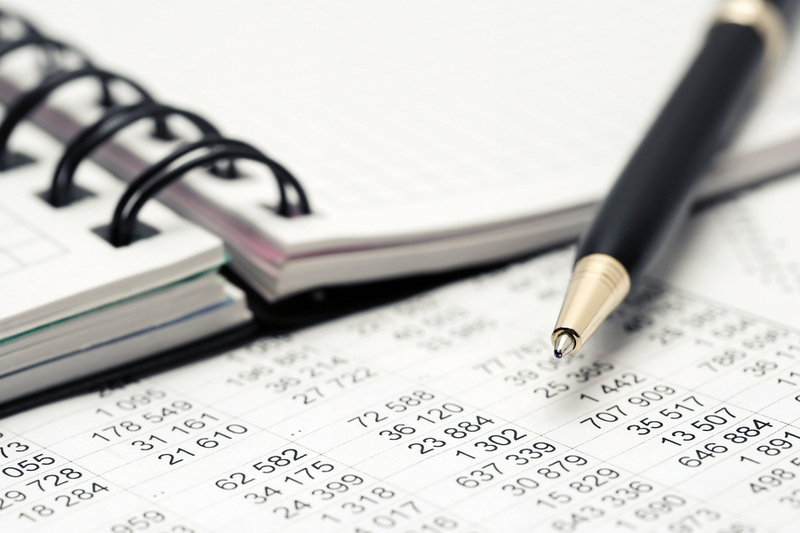 Your bylaws spell out how your audit should be conducted. Remember, nobody authorized to sign checks can be on the audit committee, though it is helpful for the treasurer to be accessible to the committee when they are conducting the audit. Make sure the committee has all of the financial records, including treasurer’s reports, the checkbook register, the ledger (or spreadsheet or wherever you record income and expenses against your budget lines), deposit and expense vouchers, copies of meeting minutes, and last year’s audit report. Conduct your audit. Be sure to have the committee sign off on the audit report form. Your PTA membership will need to vote to accept the audit report at your first meeting prior to adopting your budget. File your 990 form. Once your audit is done, you have all the information you need to file your Form 990 with the IRS. If your PTA has less than $50,000 in gross income, your PTA can file the online Form 990-N. Be sure to keep a copy of your receipt from the IRS saying that you’ve filed. If your PTA made between $50,000 and $200,000, your PTA needs to file the Form 990-EZ. National PTA has a helpful step-by-step guide to walk you through these two forms. The IRS Charities and Non-Profits page also has useful information. Register your PTA’s new officers. You can register online, and doing so ensures that your PTA will get the new Local Unit Packet stuffed full of useful information when it comes out later this summer. Plan next year’s budget. Look at what you spent this year, what programs you plan to retire or introduce, and what changes you plan to make. Consider having a budget line to send someone to the Illinois PTA Convention next spring or to support the Illinois PTA Scholarship Fund with volunteer and other awards. If you’re not sure where to start, take a look at our sample budget. Get trained. Contact your district or region director to find out when training will be available in your area. Be sure to check out National PTA’s E-Learning Library as well. As PTA volunteers, we are all very busy. We recognize the importance of continuing leadership training, but with our children’s activities, work, and other volunteer commitments, it is difficult to find time to attend training meetings. Are you aware that National PTA offers a large variet y of e-learning courses that, as a member of PTA, you can access anytime day or night. That means you can even take a quick 30 or 40 minute course in your pajamas if you want! Conceptos básicos para las juntas (Board Basics in Spanish): Aprenda las estructuras básicas de gobernación detrás de la mayoría de las unidades de la PTA. (approx. 40 min.) ¡NUEVO! El presidente de una unidad local (Local Unit President in Spanish): Este curso es un introducción a las funciones y responsabilidades del presidente de una unidad local de la PTA. (approx. 30 min.)¡NUEVO! Membership Basics: This course will provide local PTA members with basic ideas on membership – why you want to grow, how to reach everyone in your community, and what tools you can use to succeed. (approx. 40 min.)NEW! Time-Saving Ideas: Workshop will offer leadership training and show start-to-finish ways of using successful packaged programs. Engaging Families: Learn more ways to involve families and the community to accomplish your goals. Putting a Smile on Administrators’ Faces: Take back programs which help implement the new Illinois Family Engagement Framework and Illinois Learning Standards. Learn about Vision 20/20, the new roadmap for improving education in Illinois that is supported by seven school administration groups, the Illinois PTA, and over 300 Illinois school districts. Networking: Compare notes, ask questions, brag, and most of all share ideas with other local units and councils who have often already faced the same issues that you are going through. Why struggle on your own when you can come to convention and find proven ideas and programs that work? Designed Around You: On evaluations of last year’s convention, you said you wanted more workshops and a longer weekend event. We listened. Be a Part of the Decision-Making Process: It may not be the focus of convention, but the Illinois PTA can’t operate without you, the members, approving a budget and electing officers and members of the Board Development and Nominating Committee. So plan now to attend the Illinois PTA Convention on April 17-18, 2015. Covering the cost of convention registration, travel, and accommodations are all legitimate PTA budget expenses. Online registration is open now, so don’t wait! Register today!